"We've known for long time that there are people out there at high risk for disease based just on their overall genetic variation," said senior author Sekar Kathiresan, an institute member and director of the Cardiovascular Disease Initiative at the Broad Institute, as well as director of the Center for Genomic Medicine at MGH and a professor of medicine at Harvard Medical School. "Now, we're able to measure that risk using genomic data in a meaningful way. From a public health perspective, we need to identify these higher-risk segments of the population so we can provide appropriate care." Kathiresan led the work with first authors Amit V. Khera, a cardiologist at MGH and junior faculty member in Kathiresan's lab, and Mark Chaffin, a computational biologist also in Kathiresan's lab. 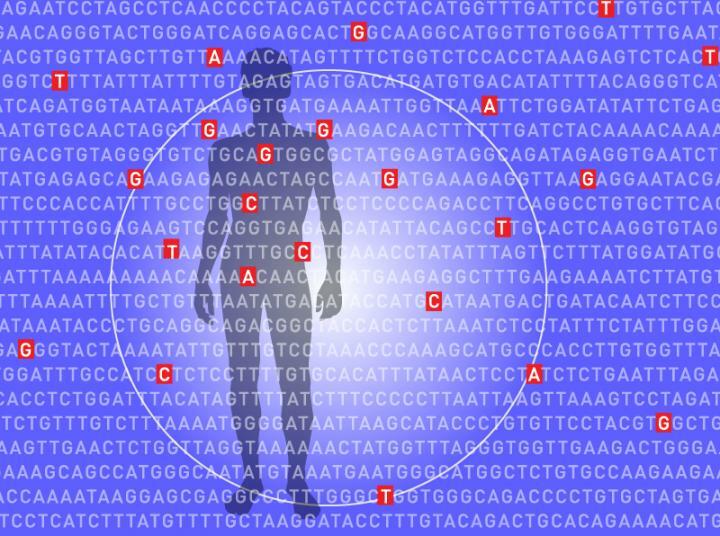 To develop the algorithms for scoring disease risk, the researchers first gathered data from large-scale genome-wide association studies to identify genetic variants associated with coronary artery disease, atrial fibrillation, type 2 diabetes, inflammatory bowel disease, or breast cancer. For each disease, they applied a computational algorithm to combine information from all of the variants — most of which individually have an extremely small impact on risk — into a single number, or polygenic risk score. This number could be used to predict a person's chances of getting these diseases based on his or her genome. "These individuals, who are at several times the normal risk for having a heart attack just because of the additive effects of many variations, are mostly flying under the radar," he explained. "If they came into my clinical practice, I wouldn't be able to pick them out as high risk with our standard metrics. There's a real need to identify these cases so we can target screening and treatments more effectively, and this approach gives us a potential way forward." Here's how the score worked for coronary artery disease: The algorithm pored over more than 6.6 million locations in the genome to estimate a person's risk of developing the deadly disease, which is the most common type of heart disease and a leading cause of death for adults in the United States. Of the individuals in the UK Biobank dataset, 8 percent were more than three times as likely to develop the disease compared to everyone else, based on their genetic variation. In absolute terms, only 0.8 percent of individuals with the very lowest polygenic risk scores had coronary artery disease, as compared to 11 percent for the people with the top scores. "Ultimately, this is a new type of genetic risk factor," said Kathiresan. "We envision polygenic risk scores as a way to identify people at high or low risk for a disease, perhaps as early as birth, and then use that information to target interventions — either lifestyle modifications or treatments — to prevent disease. For heart attack, I foresee that each patient will have the opportunity to know his or her polygenic risk number in the near future, similar to way they can know their cholesterol number right now."